First off-what are stem cells and why are they so important? There is a lot of talk going around about stem cells and their role in the skin care industry, but what makes them so special? Stem cells (naturally produced in the body) have the amazing ability to develop into many different types of cells and are used to protect the body from injury and disease, making it possible for skin to renew and heal. The cells divide and either remain a stem cell or become another type of cell with a specific role, depending on what your body needs. For example, a stem cell in the basal layer of the epidermis regenerates the skin every day by becoming skin cells which travel up to the layers of the epidermis to form or make up our skin! The body is truly amazing, right? Now let’s discuss stem cells and their role in skin care. There is a miscommunication about products “containing” stem cells and the benefits they provide the skin. This can be confusing because it makes it sound like you are actually depositing embryonic (person or animal) stem cells into the skin – which is not yet possible. Products are made with either a special peptide, enzyme or plant stem cell that, when applied to the skin, help to protect your own stem cells from damage or deterioration, while also stimulating your body to make more of your own stem cells. This protection and prevention help to keep skin young and active While slowing down the aging process. 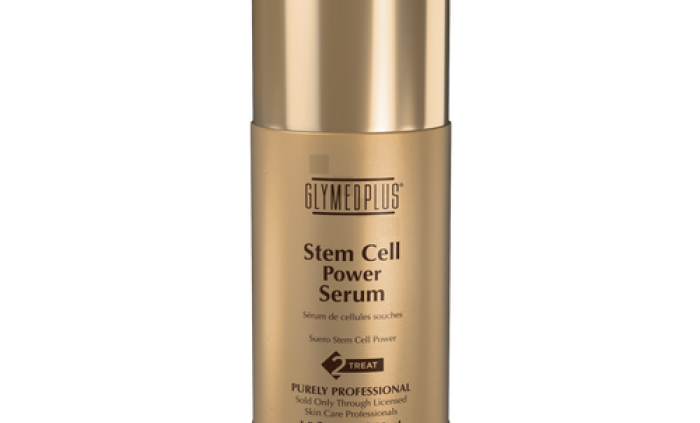 At Reflections Laser & Wellness Center, we use the GlyMed Plus Stem Cell Power Serum. Stem Cell Power Serum contains plant cell culture from the Utteiler Spatalauner Apple that resets aging skin at the cellular level. It also contains powerful amino peptide to help stimulate new cell growth and reprogram aging skin fibroblasts to increase collagen production, which lifts and firms the skin. Not only does this powerful serum offer plant stem cells, but it also contains natural tyrosinase inhibitors to even the overall skin tone, and strong peptides to inhibit and relax muscle contractions to smooth fine lines and wrinkles in the skin. The Stem Cell Power Serum is a must-have for those who are serious about prevention and helping to slow the aging process. A perfect accompaniment to Botox injections.